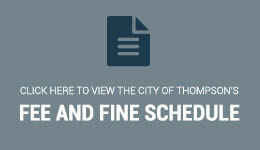 if you need to travel out of Thompson, your options are the same as in most Canadian cities. A paved highway connects Thompson to Winnipeg. 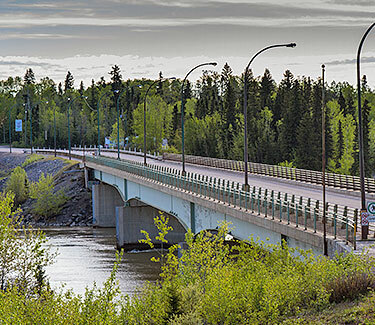 Bus and train services are at your disposal, as well as several airline flights each day connecting Thompson to the rest of Canada. Private vehicles as well as many freight carriers both local and regional, provide services to the City of Thompson via PTH# 6, PTH#39 and PR#391. Regularly scheduled flights on airlines such as: Perimeter Air (778-5924), Calm Air (778-6471), provide service to and from destinations throughout the province of Manitoba and beyond. Taxi service is provided by: Cliff’s Taxi (677-2543), Driftwood- Nickel City (677-6000), North Star Taxi (778-3333), and Thompson Cabs (677-6262). Thompson's public transit service is provided by Grey Goose Bus Lines (677-0360). There is also one designated handivan, Thompson Handivan Service (677-2970 or 679-0439). Courier services are available from Purolator Courier Limited (1-888-744-7123), Wayne Hall Delivery (677-2067), U.P.S (1-800-742-5877), Grey Goose Bus Lines (778-7051), and Town House Delivery (677-3893). Priority Post services are available through Canada Post Corporation (677-9502) in Thompson. Daily service to and from Winnipeg, Brandon, The Pas and everywhere in between and other cities and town in southern and northern Manitoba as well as linkages to the national bus systems, is provided by Grey Goose Bus Lines (677-0360). VIA Rail (1-800-842-7245) provides service to and from Churchill, The Pas, Winnipeg and points in between. Thompson has a network of walking trails throughout our city that makes active transportation easy and enjoyable. The Northern Regional Health Authority has created a map for you that identifies all of the trails throughout our community. To view the map, click here.